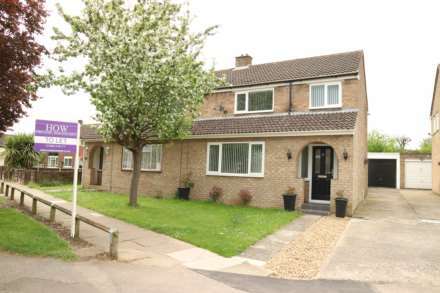 OUSEDALE SCHOOL CATCHMENT.......UPSTAIRS REFITTED BATHROOM.......REFITTED KITCHEN......Homes on Web are delighted to announce to the market this two bedroom property situated in the sought after town of Newport Pagnell. With its close proximity to local shops and amenities including the sought after Ousedale school catchment, within walking distance to Newport Pagnell town centre which is home to amenities such as medical centre, church, pubs and restaurants and close to the M1 giving easy access to London and the North, this property really does tick all of the boxes. In brief this property comprises; Lounge/dining area, refitted kitchen and cloakroom/utility room. On the first floor there are two bedrooms and a refitted four piece bathroom suite. Outside is a rear garden perfect for entertaining. Internal viewing is highly recommended to fully appreciate the accommodation on offer. There is a right of way in the rear garden providing access to the neighbouring garden. Double glazed window to front. TV and telephone points. Open fireplace. Stairs rising to first floor accommodation. Wooden flooring. Storage cupboard. Window to rear. Wooden flooring. Door leading to kitchen. Fitted in a range of wall and base units with complementary work surfaces. Single bowl sink and drainer with mixer tap. Cookerhood over. Tiled to splashback areas. Space for fridge freezer. Built in dishwasher. Door leading to downstairs cloakroom. Double glazed window to side. Fitted in a two piece suite comprising; Low level WC and wash hand basin. Wooden flooring. Plumbing to washing machine. Double glazed frosted window to rear. Doors leading to first floor accommodation. Fitted in a four piece suite comprising; Low level WC, wash hand basin, shower cubicle and free standing bath, Heated towel rail. Exrtactor fan. Radiator. Double glazed frosted window to rear. Mainly paved & stoned backing onto the river ouzel with its beautiful views & all it has to offer. There is a right of way in the rear garden providing access to the neighbouring garden.